This is by far the most COMPREHENSIVE travel/fly fishing guidebook to be published to date. 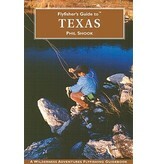 This book covers Texas in its entirety from lakes, to rivers to the fish one will catch. Some of the lakes included are E.V. Spence, Possum Kingdom, O.H. Ivy, Corpus Christi, Lake Buchanan, Falcon, Lake Texoma, Sam Rayburn and more. Rivers included are the Guadalupe, Lanno, Rio Grande, Nueces, and the Sabinal. Shook also covers the fish of the Texas waters such as: Bass: Largemouth, Smallmouth, White, Guadalupe and Stiper as well as Panfish: Crappie, Trout and Catfish. There will be over 120 detailed lake and river maps showing lake depths, river access, campsites, and areas of special interest in addition to hatch charts, stream facts and recommended flies. As always this guidebook extensively covers essential travel information such as accommodations, campgrounds, listings for fly shops, restaurants, car repair and rental in addition to hospitals, airports and more. 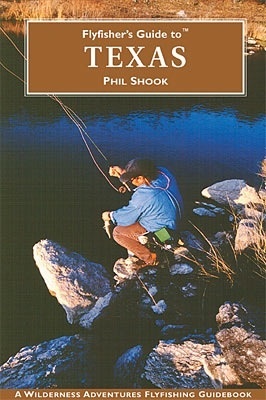 This book is the best yet and an essential guidebook for the Texas angler as well as for those visiting from out of state - a must have!